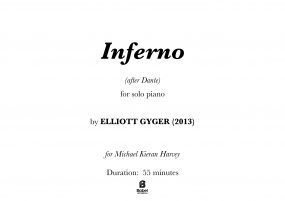 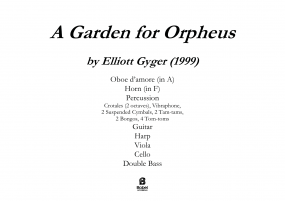 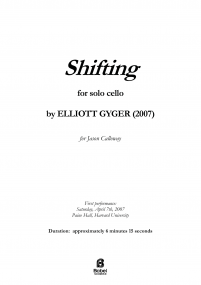 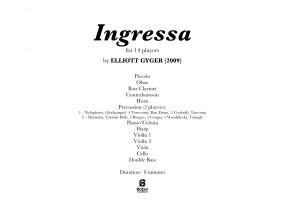 Elliott Gyger was born in Sydney, and holds degrees in composition from the University of Sydney (BMus Honours, 1990) and Harvard University (PhD, 2002). 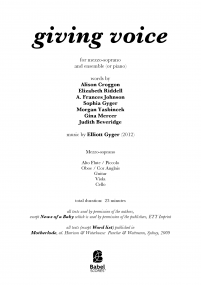 His composition teachers have included Ross Edwards, Peter Sculthorpe, Bernard Rands and Mario Davidovsky. 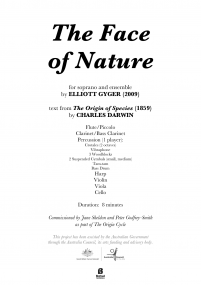 His compositional interests include the creation of a purely musical sense of drama and narrative, and the multilayered interplay of music and text. 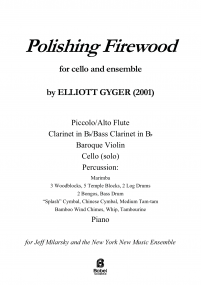 Major works include concertos for E flat clarinet (A wilderness of mirrors, 1996), celesta (Angels and Insects, 2010), tenor saxophone (Smoke and Mirrors, 2014) and prepared piano (From Joyous Leaves, 2015), chamber works such as Polishing Firewood (2001, Pierrot-plus-percussion sextet), Crystallize (2010, percussion quartet) and Shell Chambers (2016, piano quartet), an hour-long solo piano cycle inspired by Dante, Inferno (2013), and a chamber opera adaptation of David Malouf’s novel Fly Away Peter (2015), which received critically acclaimed seasons by Sydney Chamber Opera in Sydney and Melbourne. 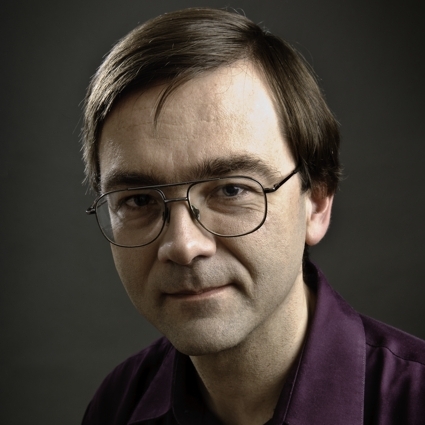 His “dialogue for orchestra” on air (2011) was awarded the Sydney Symphony 80th Anniversary Composition Prize, receiving its first performances with the SSO under Vladimir Ashkenazy in March 2012. 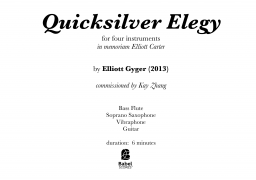 He has collaborated with Sydney ensemble Halcyon on numerous vocal chamber works, including From the hungry waiting country (2006), for four female voices and harp, and giving voice (2012), for mezzo-soprano and five instruments, which won the 2013 Paul Lowin Song Cycle Prize. 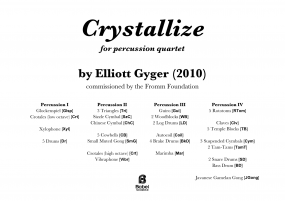 Elliott is also active as a conductor, teacher and writer on new music. 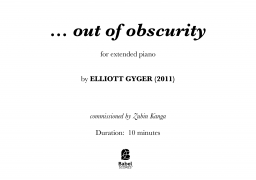 He was Assistant Professor of Music at Harvard from 2002 to 2007, and has taught at the University of Melbourne since 2008, where he is currently Senior Lecturer in Composition. 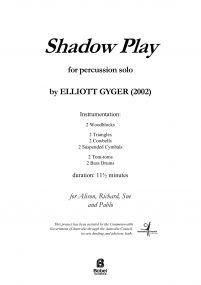 He has been a tutor for young composer development programs with Halcyon, the Tasmanian Symphony Orchestra, and National Music Camp. 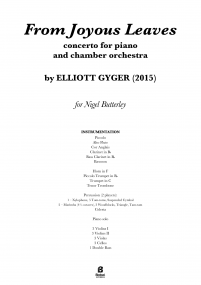 He has written extensively on Australian composer Nigel Butterley, including a book on his music published by Wildbird Press in April 2015.